The Maasai have occupied what is now Kajiado County in Kenya for centuries. Bordering Tanzania, the majority of Maasai are semi-nomadic pastoralists. Continuous drought due to climate change threatens their pastoral way of life. Repeated droughts have led to loss of livestock and even lives due to hunger and malnutrition. As a result, Maasai families must expand their sources of livelihoods to include agricultural and other related activities. For women, their traditional way of earning money of their own has been beading jewelry, which is sold in Nairobi markets and beyond. They make very little from this. They want to diversify their livelihood options to include growing crops, poultry farming and milk production. Our Kenyan partner, Kilimo Media International (KMI) and Lifeline Energy have created Tawang’a (‘knowledge that builds’ in the Maa language). Tawang’a is a new initiative to enhance emerging women farmers’ ability to cope with the impacts of climate change by providing them with a wide range of information using our Lifeplayer MP3s. Produced in the Maa language, content will include sustainable farming practices, health and nutrition, climate change adaptation and mitigation strategies, raising chickens, milk and yoghurt production and environmental sustainability. 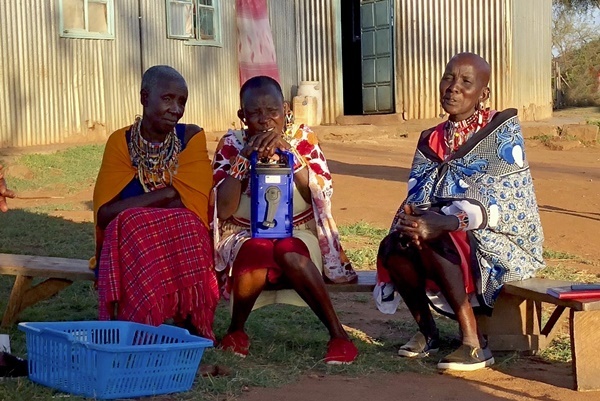 Every Maasai woman we have met is part of a woman’s self-help group or cooperative. Most are co-wives as Maasai men marry up to four women. All are keen to gain new knowledge, as nearly all are illiterate and most speak only Maa. Maasai culture is highly patriarchal and every aspect of life is either male or female. 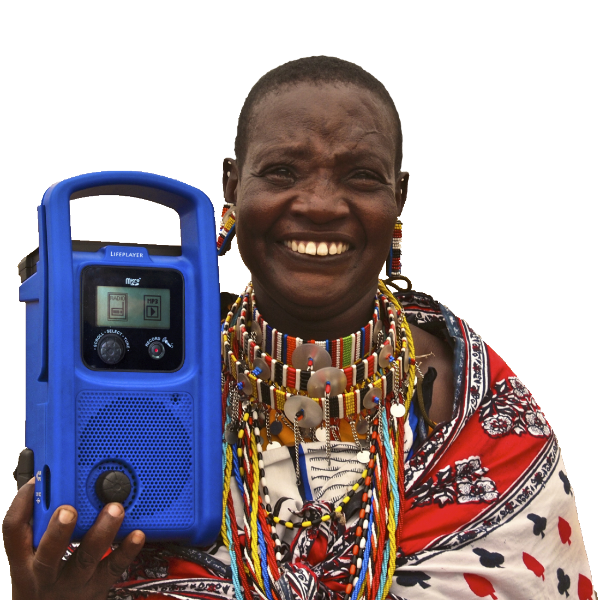 Radios and the batteries to power them and flashlights are male. Very few women have radio access unless they have phones. And most women own basic phones, but very few have smartphones. However, the community station which broadcasts in Maa, has a small footprint and they may not be able to tune in. This scenario creates an excellent platform for our Lifeplayer units. Content will be pre-loaded in the Maa language. Although new content will be created, the local community station has many hours of content that can be loaded. Women in self-help groups or cooperatives already gather regularly and will tune in each time they meet. Some groups want to raise poultry, some already are participate in a milk cooperative, but want to learn how to produce yoghurt. Others want to grow food to feed their family and to sell. All the women we spoke with agree that they need to have basic business and finance skills. This is in addition to content on maternal and child heath, stopping early marriage and FGM (a traditional Maasai practice), weather reports and livestock matters. In the field trails that we’ve undertaken with Kilimo, the women unanimously want to participate in this initiative. They are so keen to learn, but have very few options to do so. Tawang’a will give extension officers, agricultural experts, climate specialists and health practitioners a ‘megaphone’ to reach a greater number of women. 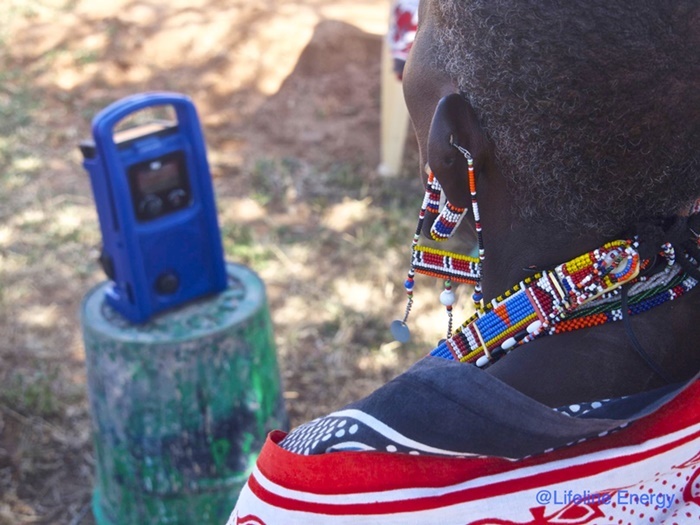 The women will also be able to listen and record radio programmes, ensuring everyone will have the chance to listen. Maasai women live an incredibly hard life. Our aim is for Tawang’a to help them gain the knowledge they are seeking to help them live better, more prosperous and healthy lives. Please consider donating to this initiative. Tawang’a | Knowledge that Builds empowers Maasai women, who have traditionally been excluded from self-development opportunities.